The acoustic rock band Vertical Horizon was formed in 1990 by Georgetown University undergrads Matthew Scannell and Keith Kane; after graduation in 1991 the duo relocated to Boston and, in 1992, self-released their debut album There and Back Again. There and Back Again was recorded in Matt's old high school over a period of a few days, and Matt and Keith together played all the instruments appearing on the album, though they both mostly played acoustic guitar. Both also contributed to writing all the songs, and both sang. Matt and Keith toured for several years after this, mostly appearing with similar bands such as Jackopierce. By 1995, they were ready to record again. The resulting album, Running on Ice, again had Matt and Keith playing acoustic guitar and singing, but with the addition of other guest musicians to play other instruments. Guests included members of Jackopierce, as well as Carter Beauford of the Dave Matthews Band on drums. More touring followed, and soon Matt and Keith were joined by Ed Toth on drums. In 1997, a live album, Live Stages, was released. This featured Matt, Keith, and Ed, as well as Ryan Fisher on bass. Live Stages signaled a departure from the original acoustic guitar-based music, and featured heavy emphasis on electric guitar. Also, by this time, the band was explicit in their intent to find a major record label; band members have said that it was no accident that the first track of Live Stages opens with the sounds of a large cheering audience. Their wishes came true, and the band was signed to RCA Records. Ryan had never intended to join the band permanently, so the three other members held auditions for a permanent bass player. Their first audition was Sean Hurley, and everyone liked him immediately. There were many more auditions, but they eventually came back to Sean, and he officially joined Vertical Horizon. The follow up to "Everything You Want", titled "Go", was delayed several times until finally being released in 2003. "I'm Still Here", the first single from Go, was released with little fanfare and faded quickly. VH ended their relationship with RCA in 2004 and re-signed with Hybrid Recordings. "Go" was re-released with an additional track in 2005. A second single, "Forever", was released prior to the re-release and received moderate airplay but did not match the earlier success of Everything You Want. In 2005, drummer Ed Toth got what he considered the dream gig of a lifetime when he was invited to join the Doobie Brothers following the death of drummer Keith Knudsen. 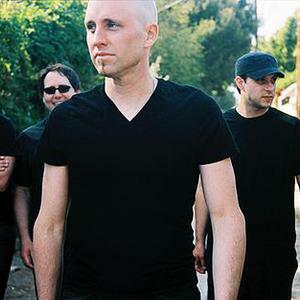 While Toth had hoped to juggle both bands, he quickly realized it would not be possible and announced his departure from Vertical Horizon in July 2005. In 2007, realizing as Matt says, ?there was more to do? and ?thinking the timing was just right to start working on a new album,? the band began writing and recording, Burning The Days. The album is slated for release on September 22, 2009 with the first single, ?Save Me From Myself? recently sent to radio. The single has been extremely well-received and is currently climbing the Hot AC charts with strong airplay in McAllen, Modesto, Monterey-Salinas, El Paso, and New Orleans. Independent of label constraints, Burning The Days was produced by Scannell and recorded at his studio over the course of the past 2 years. For the band, it was a complete return to their beginnings of working at their own pace and ?nurturing those moments of inspiration.? According to Matt, the album is ?sonically as good as anything we have ever done. I take great pride in this album and feel that our renewed sense of creativity will resonate with our fans.? The album also features virtuoso drummer Neil Peart of Rush on ?Save Me From Myself,? ?Even Now? and ?Welcome To The Bottom? as well as Richard Marx playing piano on ?Here? and producing two of Matt's lead vocal tracks. ?I'm actually in a pretty positive place right now,? says Scannell. ?Of course I still have that underlying fear of everything falling apart and crumbling to the floor, but it is not the first thing on my mind, like it's been at times in the past.? And so one of the main themes of Burning The Days is about finding balance in a journey from hardship to peacefulness ? knowing that the up must follow the down, and vice versa. ?It's about being okay with things going well, and also finding strength to get through the tough times.? The first single, ?Save Me From Myself,? is about ?the danger of getting so lost in your own struggles and personal demons that you can't help the people you love, and you won't let the people you love help you. You're too far away in your own head to do anything but spin off in self-criticism and doubt. There's a lot of anger and frustration in that song.? Conversely, ?The Lucky One? is one of the album's most upbeat tracks, a fact that took the song's author a bit of time to get used to. ?I'm usually wary of songs that have really upbeat messages, but this song resonated for me because I tend to be the last one to believe when things are really going well. Songs where everything is perfect and everyone's in love make me suspicious, but this song has enough of a gray area to feel real for me.? Other highlights on the album are ?Afterglow,? ?All Is Said And Done? and ?The Middle Ground.? To support the album's September 22nd release, the band plans on doing targeted performance dates throughout the summer with a nationwide tour in the fall.